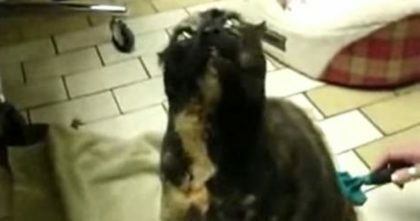 This cat likes to sit in the plastic container and doesn’t move – he’s as lazy as they come, but when this kitty needs a little tow, they hook up the remote control toy truck and what happens next is adorable and hilarious, hahaha! 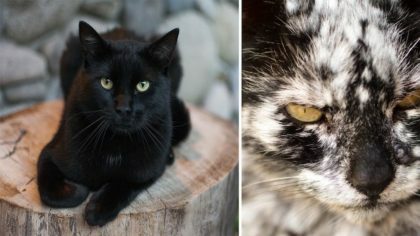 Instagram user @bonnienclydekitties recently posted the adorable video you see below and since it has gone viral with over 21,000,000 views – this kitty is now internet-famous and doesn’t mind getting a tow anytime! 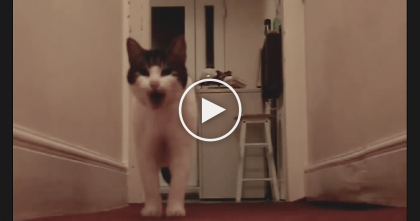 When This Cat Wants Attention, Just Watch What He Does To His Human… Oh My Goodness, LOL!! 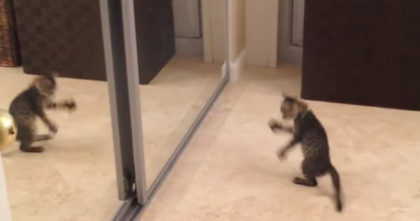 Kitten Sees His Reflection In The Mirror For The First Time, But Then Goes NUTS… This Is TOO Funny! !